May JOY Align with Your Creative Heart. With all that we hear about algorithms, whether it's with social media, email, investing, or any other sector of the market place, timing seems to be everything. There always seems to be something that needs to be kept a close eye on in order for us to gain traction, make progress or make us feel like we're getting somewhere, otherwise, we can just feel like a hamster on a wheel, going around in circles. This often occurs because we're not centered, grounded or aligned with Who We Are, but instead, we're focused on everything else around us, which can be confusing, disorienting and downright frustrating, especially when we feel like we've missed the mark somewhere and haven't cracked the proverbial nut. It's time to get out of the "rat race" of expectation, obligation and frustration and come back to ourselves. Paying attention to our own creative rhythms, to our intuitive nudges, to those signals and signs that tell us to slow down or even STOP when necessary. That's why it's so important to get QUIET so we can hear what our inner wisdom is telling us instead of just listening to the Noise that never stops. When we choose to Deliberately Tune In to that Inner Guidance, our GPS of the soul, we will see and feel a very different picture, one that is calm, orderly, creative, fun, restful, relaxing, healing and just Right. Journaling is one of my favorite ways to Tune In and really find clarity on what needs to be let go of so I can Make Space for more of what brings me JOY and what Energizes me. That's how I create my own Personal Algorithm rather than allowing outside influences to dictate how I spend my time and energy. As I do this, I begin to see more clearly what direction to take so that I don't become overwhelmed and depleted. In the above video I share my JOY with wearing white and some thoughts about intuitively dressing. ​Wardrobe JOY is another to add to my list! ​Some of the links on this page are affiliate links. I appreciate your support! Please click on This LINK to access my Zazzle Art Store! Thank you for your support of my ART! So, there you have it. These lists Inform where my energy should go and in what form they should take. I must take this list deeply to heart and really listen to what it tells me. I must be honest with myself about what needs to be changed in order to make Space for what is on these lists. That means letting go of my own expectations and perhaps, the expectations of others. Sometimes when we say no to something, someone ends up disappointed. But self-care is of primary importance and should not be relegated below what could appear to be an obligation. Instead, I take action to create the proper shift in my energy, my mindset, my emotions, and in my soul and spirit, to align more fully with Who I Am in all of my life dimensions. And that includes asking myself what I have been neglecting so I can tend to what matters most. Make your own list today and see what it is telling you. Listen carefully. And then take action to make whatever change is necessary to align with your own personal algorithm. And let go of the one that is no longer serving you, even if you created it for yourself. I give you permission to make these changes without guilt. I know how hard it can be to say no when you've been saying less for too long. Release yourself and be personally empowered. And May JOY Align with Your Creative Heart. Refresh Daily: What's Worth Celebrating? As I look back on the previous week, I began to see a thread that connected much of my activity and experience with my reading, watching, conversing, connecting and launching. It was a week full of excitement, preparation, anticipation, and sharing good news with family and the world! On my book shelf, I've been diving deeply into research on autism, looking to understand more comprehensively the mind of my grandson. As I determined what to start with, I managed to find several titles, one from a husband's point of view, one from a child's point of view and one from a mother's point of view. The first title is The Journal of Best Practices written by David Finch, husband and father looking to improve his relationships despite the challenges he faces with autism after being diagnosed after he got married. As I read through his transformation, I could see how life and relationships are worth celebrating especially when there were struggles initially. I appreciated his humor and point of view especially when being very specific about the way he thinks. Quite the detailed picture. The next title was The Reason I Jump by Naomi Higashida, a 13 year old boy with autism. This young man does a Q&A so he can share what it's like to have an autistic mind and how it effects his communication, his body, and his emotions. This was quite the revealing read, especially coming from a child's point of view, which I appreciated. The third title, called, The Spark, is written by a Mother, Kristine Barnett, who's first born son has autism and what she does to enable her son to function on a higher level so he can communicate and thrive in his gifts. This mother's heart is so BIG, not just for her own kids but for many others, both with autism and without. Her story is courageous and heroic, incredibly moving (got the handkerchief handy! ), inspiring and enlightening. Here is the episode, The ART of JOY with Dawn Herring, where Andrea Lewis Interviews me. Just click on the image of "Loose" to view and purchase an art print in my Art Store! Another thread of Celebration came when I conversed with my parents recently, and when Mom answered the phone, the first thing she wanted to express was the fact that I was a guest on a live radio show, being interviewed by Andrea Lewis, host of Heal Past Wounds and Bring JOY Back. Mom was so excited to hear my interview and Dad commented on my becoming a Celebrity! This made me laugh, feeling affirmed and loved by my parents and celebrating with me with this new experience I had. I did have such a great time talking to Andrea and knowing Mom listened and enJOYed it made me feel deep JOY. And my final and really exciting thread of Celebration was connected to my ART, and more specifically to my most recent launch of 12 Paintings, "Beginnings" Watercolor Series, in my ART Store! I went LIVE on Instagram and Facebook to share my JOY of releasing these paintings in my ART Store and why they are special to me, as I tapped in the medium of watercolor and felt like I was finally creating from the heart. I also released a new Doodle ART collection in my ART Store, filled with stickers, buttons, keychains and magnets with fun, colorful doodles I shared from my personal journal so you can use them too! My aim and goal is creativity, journaling and finding your creative voice as artist of your life. This week has given me many reasons to celebrate, whether it's learning about what makes my grandson tick, enJOYing my parents celebration of my opportunities, or launching art that brings me JOY in the Making! So, what is worth celebrating in Your Life? YOU. Your personality. Your gifts. Your Creativity. Your Voice. As I choose to express, learn and share what I have to offer to the world, I hope you will do the same. Learn more about Who You Are and why you love the things you do. Dive deep. Express yourself. And enJOY connecting with those who celebrate you too. And May JOY Align with Your Creative Heart! Detail something that you want to Celebrate in your journal, something unsung or what might be perceived as insignificant, but you deem marvelous. Create a Spread of Celebration tying in several experiences that you want to focus on, whether just personally or with others who were a part of what you want to detail. Using "Celebration" or "Celebrate" as you word prompt, really have fun embellishing this doodle like you're having a party!! Refresh Daily: Your Journaling "Why"
Hello friends, creatives, journal keepers, small business owners and those looking to Find Their Creative Voice. Today I would like to share some tips on Journaling, especially for those who are just starting or want to start a journaling practice. What I share here is intended to help you build a strong, empowering foundation from the very beginning so that you'll want to come back to your journal again and again because you enJOY it so much! This post, Your Journaling "Why" is the first in a series I plan to share here at Refresh Daily, with the aim and goal of giving you a step by step guide toward personal empowerment with journal keeping. Today I would like to ask the question: Why do you want to keep a journal? 1. You have heard that journaling can be beneficial for well being, for personal and emotional expression on the page. 2. You have seen others keep journals, whether through text, image or a mix of both, and you are curious about starting one of your own. 3. You enJOY writing and thought journaling would give you a similar benefit. 4. You've had other friends encourage you to try journal writing even though you have no idea where to start. 5. You think it might be fun. Now all of these reasons can be completely legitimate and true. It can be truly inspiring to see others using their journals, to hear about the benefits of journaling and to use writing as a way to express yourself. My goal and aim is to encourage you to reflect on the deeper "why" of this desire to record your thoughts in a book for safe keeping. When we determine what we hope to derive from such a practice, it can help us determine how to go about it so we can experience more longevity. To help you get started and inspired, you are more than welcome to click on either image below and receive my 2 resources, The Art of Journaling Toolbox that contains 7 Power Tools for journal writing and The ART of Journaling Prompt PLAY Book, which contains 31 prompts, questions and image suggestions to bring more PLAY into your day! Let me share with you my "Whys" for Journaling. So, what do You have in mind for the reason you would like to start one? How about recognizing patterns, especially ones that are no longer serving you, so you can create new ones that will enhance your well being and self-care? This ultimately initiates positive change that leads to personal empowerment. Are you looking for something specific? Do you just want to have fun and see how it goes? Do you want to dive deeper into Who You Are and take a listen to The Higher Voice inside you that can tell you what you want to know? I encourage you to give journaling a try. Use the resources, The ART of Journaling Tool Box and Prompt PLAY Book, that I have for you so you can get a jumpstart and not lose momentum. The 7 Power Tools keep things fresh so you don't have to do the same thing on repeat (unless you want to). Sometimes, folks get bored just writing down the same thoughts every day. These power tools will help you keep it fresh, fun and fabulous. Just click on either image above. Here is my current journal; I just love the design! I use the Black G2 pen in my personal journal. My aim and desire for you is to find your perfect sweet spot when it comes to journaling, and determining Why is a great first step toward getting a strong start that can make all the difference between journaling regularly with JOY and getting stuck and bored and forgetting about it altogether. Start this entry by writing down three reasons you want to keep a journal. Be completely honest even if you think your reason is silly or outside the box. Determine which reason most resonates with you and go deeper with it in your journal, beyond Scratching the Surface. Using the word WHY in your spread, cut out letters or words to express your biggest reason to keep a visual journal. "Why" can be a starting point word plus using Question Marks to highlight your reason. Hello friends, journal keepers, creatives, artists and small business owners. 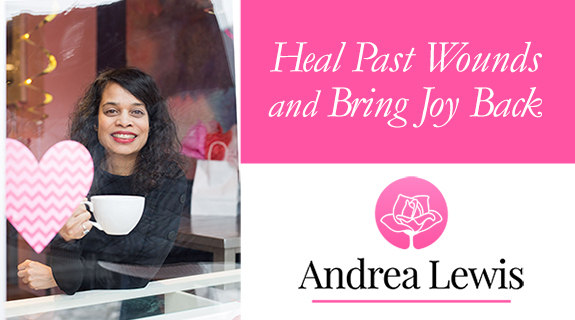 I am excited to share with you the replay of The ART of JOY with Dawn Herring interview hosted by Andrea Lewis, from her live Radio Show, Heal Past Wounds and Bring JOY Back, which took place on March 7. We chatted about how journaling is a power tool for personal empowerment, my artistic and journaling practices and how JOY can be simple to incorporate into day to day life. I thoroughly enJOYed our conversation and trust that you will be inspired and get motivated to start your journaling practice or to take it to the next level, as well as have impetus to Find Your Creative Voice. EnJOY and do leave a comment below with your feedback. We'd love to hear from you! Here is my Wardrobe JOY outfit, my favorite of the week! Hello friends, creatives, journal keepers, artists and small business owners! I'm excited to share with you a book review for Joyful by Ingrid Fetell Lee. I originally found this title visually on Pinterest (​​follow me at Refresh with Dawn Herring); and I'm sure if you've known me for any length of time, that you would know that anything with JOY in the title is sure to get my attention! So I knew I had to get my hands on a copy, and I'm so glad I did. Ingrid is detailed, comprehensive and fun in her study on JOY as she dives deep into what initiates JOY from our Surroundings and WHY that happens. Through many interviews with architects, artists, designers and others who incorporate deliberate JOY into what they do, she showcases the initiators of JOY. Examples are color, shape, dynamic, energy, inspiration and a myriad of approaches to what can bring us JOY and Why. I love how she categorizes her 10 topical chapters (energy, abundance, freedom, harmony, play, surprise, transcendence, magic, celebration, renewal) and her comprehensive approach to sharing what each one represents, both seamlessly and with great detail. I enjoyed my reading of Joyful; it gave me new appreciation for my surroundings and even some ideas that I can incorporate into my space. I really loved her focus on abundance, giving examples of confetti, a ton of balloons, bubbles, and repeating wall paper as examples of what can bring us JOY visually and why it has such an impact on us. Yes, there is a science to it all! Somehow, this title, Joyful, really affirmed what I have already discovered and experienced as a JOY focused creative, and it just made me smile knowing that I've got this whole JOY thing right! We can have more JOY in our lives by deliberately choosing what is in our surroundings, how we decorate, how we dress, and how we connect with others in community. Love this quote from the book: "At the Heart of Celebration is a kind of mathematical paradox: the more we share joy, the more it grows." Ingrid does such a splendid job on this title, Joyful, that I wholly recommend it. Plus she offers several resources to help you figure how best to approach your choices in creating more JOY in your life every day. Thank you so much, Ingrid, for writing this book; it was a true blessing to read it and I'm delighted to share it with my readers. P.S. I've included Ingrid's TED Talk below, Where JOY Hides and How to Find it. As an avid journal keeper, I know it can be helpful to have more than one approach to journaling to keep it relevant, revealing and renewing, as well as a prompt or question to keep things fun, fresh and fabulous. You can now receive all this journal keeping support with The ART of Journaling Tool Box, filled with 7 Power Tools for your journaling as well as The ART of Journaling Prompt PLAY Book, filled with 31 prompts, questions and image suggestions to PLAY with in your journaling practice. Whether you're just getting started or looking for some fresh starting points, the resources are simply Perfect for Powerful Playing that leads to personal empowerment. Just click on either image and get started! And let me know which ones are working for YOU right now. Look at your surroundings and do an analysis in your journal about what you like the most about areas in your home and what you would like to change to make it more JOYful and aligned with Who You Are as Artist of Your Life. Have fun with some JOYful images that encapsulate how you want to feel with more JOY in your life. Using JOY or JOYful as a starting point, draw circles, confetti and/or bubbles to highlight and accentuate JOY visually. Hello friends, creatives, journal keepers, artists and small business owners! I've got some fun insights to share with you from this past week. I so enJOY sharing what inspires me, what fills my creative well and what I'm thinking about and working on behind the scenes as Artist, Designer, Creative and journal keeper. This past week, I watched a movie titled,A Brilliant Young Mind, which is a story about a young man in school who is Mathematically a genius, the mentors/teachers that helped him and his parental story, his pain and his connection with others in the process. One of the things that fascinates me with these stories of autistic children is how they think, how they process their world, and how they use their gifts to excel and make a life for themselves. In this particular story, the young man's way of thinking is in Patterns. Thus the mathematical interest and genius in his application and focus. This gave me food for thought concerning patterns and how they influence me as an Artist. I prefer focal points that inspire versus an ongoing continuum. I once had a rug that had different sized squares with many of my favorite colors. That rug was really cool, and I loved looking at it. It was restful yet colorful. No repeating patterns. Yep. This movie actually inspired me to think more deeply on what I prefer as designer, artist and resident of my abode. Of course, I recorded all these observations and considerations in my journal because of its relevance, it being a great way to keep track of my Artistic Mind and where it might lead with future designs that I create. Want to keep your journaling practice more relevant, revealing and renewing? Check out The ART of Journaling Tool Box filled with 7 Power Tools I use to keep journaling fresh, fun and fabulous. Just click on the image to sign up and get your free PDF! Ready to P-L-A-Y with your next journal entry with prompts, questions and image suggestions for journaling, art journaling, doodling/drawing? Check out The ART of Journaling Prompt PLAY Book, perfect companion to The ART of Journaling Tool Box. Just click on either image to sign up and get your complimentary download today! In continuing with the movie's story (spoiler alert if you haven't seen it yet! ), the young man has a horrifying experience in the car with his Dad driving, where someone runs a red light and there's a head-on collision, killing his Dad on impact. Traffic lights are featured frequently in the movie as a reminder of what he saw in patterns at the time of his Dad's death. He had a very close relationship with his dad, despite his autism, since his dad understood him deeply and often used humor to connect with him. This created many poignant memories throughout the movie at times in the young man's life that were deeply significant. As a Grandmother of a grandson with autism, I deeply appreciated the father's connection with his son and his desire to enable his son to feel secure, loved and appreciated for who he was. I pay close attention to my grandson's development (since his birth!) and when he struggles or when he's thrilled, I try to understand him on the deepest of levels, both in connection with how I felt as a child as well as wanting to feel what he is feeling, which can be challenging when he's in his own "world." Not only do I connect with him emotionally but also through humor, just by the way I say things to him. I have had the privilege of hearing him say to me, "Grandma, you crack me up!" Sometimes I'll ask him what was so funny, and he will reiterate what I said. It's always nice when he understands my humor and appreciates my communication with him on that level. It brings me great JOY. As I continued to reflect on A Brilliant Young Mind, I realized that life is full of repeating patterns, some of which we deeply enJOY and others we would prefer to change in order to grow. Whatever patterns suit you, pay closer attention. They may give you deeper insight into why you like what you do. Whatever life patterns you realize in your own reflections, remember that you always have the power to change in order to grow, if necessary. And those patterns you've developed to make self care a priority, appreciate them afresh as you relish the poignant moments that you experience from the heart. Recall a pattern you remember from childhood and detail what it looked like. Why did it leave such an impression, and was it positive or negative? Compare that pattern with ones you have in your current environment. Any similarities? What are the differences? Which do you prefer? Find a pattern you really love in a magazine and use it to frame your next art journal spread, using colors and words to show your appreciation for such resonating visuals. Create a Pattern in your sketch book using colors and motives that are your favorites. If you are a small business owner, and you desire to feel empowered and confident with the visuals you use to market your products and services, and you would like a more customized approach to how you present yourself in the marketplace, check out my service, Dawn's Dynamic Designs: Hand Lettering and Illustration. My great desire is to create art for your business brand, products and services, so you can approach the market knowing you can attract the right client with the right visual. Plus with 10 years of experience in Social Media Marketing, I can take the overwhelm out of the navigation. I look forward to hearing from you! Hello friends, creatives, journal keepers, artists and small business owners! It's great to be back to share more of my life behind the scenes as Artist, Illustrator and avid Journal Keeper. Of course, I also have another project I've been working on, the first of my Lyric Line Design Series, based on Lyrics I've written in Connection with Spirit, and creating Art to inspire. So, with both of those going at the same time, I really needed to take a breather. I get so inspired, that sometimes, it's hard to stop, especially once I get a rhythm and momentum going! But if we don't take a rest when we need it, if we're not mindful enough to know when we need a rest, we end up burning out. Of course, I wouldn't expect to burn out in less than 3 weeks time, but I must listen to my intuition, my body and my heart when it's time for a Pause. And not feel guilty that I'm not producing as much as I'd like. If we don't Pause when it's Perfectly Appropriate, we may also find our enthusiasm waning for those things we were once thoroughly enJOYing. It's time to Fill Up the Well! Pause and Make Space for inspiration and re-invigoration. Yes, that aligns perfectly with my Word for 2019, SPACE. It keeps coming back again and again, and I'm glad it does, since it resonates so deeply and is speaking to me in such a Relevant way. I know I picked the right word, that's for sure! What would a Pause look like to you? When you take one, detail how you feel about it, whether you feel relief or guilt. Reflect on why Pausing is essential to your creativity. Show visually what a Pause looks like, or simply create words that express how you feel about what you are creating and what it means to replenish when you feel depleted. Use colors that revive you. Either Draw the word Pause with separation between the letters or draw a button that means Pause. You may want to write associative words that reflect a Pause or what you need to pause in your life. Hello friends, journal keepers, creatives, artists, and small business owners! I'm excited to share with you some important developments I've discovered and uncovered for myself, both in my journaling practice and as an Artist and Creative. The month of January in this New Year of 2019 has been very introspective for me. I realize it can be that way for a lot of people as we determine what we want to accomplish with the setting of goals often being the focal point. But for me, I think it's been more of a comprehensive looking inward as I focus on Who I Am as a Creative, Journal Keeper, Artist and family member, and friend to You, dear reader! Before I share more deeply what I discovered, I also wanted to share with you about two card decks that I use for such times like this. The first one is my Spiritual Deck. The idea for this one came from Julia Cameron, author of The Vein of Gold, a tome not mentioned often with her as author, but it's my favorite, and I've read most of her published works, including The Artists's Way of which she is most known for. In her book, The Vein of Gold, she offers an activity to build for yourself a Spiritual Deck. It contains your favorite things and people, plus much more. When I use this card deck, after shuffling three times, I pull three cards off the top, one for the past, one for the present and one for the future. This current card "reading" I did for myself opened up the energy for me to look back to the beginnings of myself as an Artist, which takes me all the way back to when I was 8. Yes. Remembering that far back is a bit of a challenge! So as I prayerfully discerned this possibility, I decided that after I recorded the details of this reading, which I always do in my personal journal as a record of what I've discovered, I determined that I would write a letter to my 8 year old self. Yes. After a full page, I was amazed what came out. And it shifted my energy in such a way that it was surprising. It was truly a way to honor myself at that age and give me a fresh voice to be heard. And I'm glad I listened! Deep journaling, when you give it space and connect it with what is truly relevant to you, can make all the difference in helping to see yourself in a whole new light (sort of like an Inner Seeing), with fresh appreciation of where you've come from and where you want to go. I'm so excited to offer you The ART of Journaling Tool Box filled with 7 Power Tools for your journaling practice to keep it Relevant, Revealing and Renewing! Whether you're just getting started or could use a jumpstart after being away for a while, or you just want to try something new, The ART of Journaling Toolbox is what you've been looking for! Just click on the image to subscribe! As I have gone deeper into my journaling practice, writing up to 2 or 3 times per day instead of just one evening entry, it has given me SPACE to listen, to dream, to love, to understand myself on a deeper level. And it has given me a fresh appreciation for Who I Am as an Artist and Creative as well as going deeper in Connection with Spirit. That's really where it all begins, and journaling is my Power Tool to peel away the layers to get to my Deeper Truths that I aim to live by every day. If you want to go deeper in your journaling practice, or you simply are looking for inspiration, do click on The ART of Journaling Tool Box image above and subscribe today! Then enJOY some inspiration for tapping into Your Creative Voice and Honor Who You Are as Artist of Your Life. What does Going Deeper mean to you? What immediately comes to mind? What one activity in your life would initiate going deeper most naturally? Record this in detail in your journal, then determine how you can make this happen right now. Choose an image that means Deep to you, then choose your favorite way to create text (hand letter, stamp, cut out letters, stickers) and describe what going deep means to you. Draw the word DEEP as if it were deep! Or draw an image of something that feels deep to you. How does that make you feel? You can answer this question in your journal. Hello friends, creatives, journal keepers, Artists, and small business owners! It's good to be with you again, and this week I'm sharing some things that inspired me as an Artist and Creative, including a movie I saw and something new I started up that's fun and visual, which makes sense, since I am Very Visual! First up, I wanted to share about the movie I saw (on Amazon Prime Video) called "Temple Grandon" which essentially is based on a true life of an autistic girl as daughter and student, and how she learns in pictures to make sense of her world, rather than based in language. The movie truly portrayed this in a way that really left an impression on me and inspired me to think about My View of the World. Hmmm! Food for thought, wouldn't you say? Of course, I see visually, especially focusing on vibrant color, detail and texture (oh how I love that texture--makes me want to draw or paint! ), but the way Temple's visual way of learning was portrayed was very different from mine. Photographic memory and series of images all related by subject matter. Very interesting. I do love associations and use mind maps with words rather than pictures, sometimes, in my journal, when I want to go deeper into a subject or word that resonates deeply with me. Of course, Journaling always has place for me, no matter what subject matter I'm covering and I even created a resource just for you whether you just want to get started or get unstuck and need inspiration. I've called it The ART of Journaling Toolbox. Just click on the image below to get access and then get inspired to find Your Creative Voice as Artist of Your Life. I had so much fun drawing this dress. Fashion illustration has been a long desired activity. In addition to finding Temple's way of processing her world through pictures fascinating, I was really inspired by her triumphs in overcoming obstacles and her way of problem solving. Wow. It's amazing what we are capable of when we are motivated to get where we want to go! I highly recommend this movie. It continues to inspire me. On another Visual note, I have created an account on...wait for it...Pinterest! Yes, I decided to go visual in another venue and I'm having so much fun! I have a total of 11 boards so far.. one is for my ART Store (yes you can view some of the products with my JOY Design Series featured, click on the image and it takes you right to the page in my store; how cool is that? ), one for Refresh Daily blog, plus art related stuff and of course, JOY. Plus one for Journaling. You're welcome to follow me there and start your own boards. I have visuals there that I haven't shared anywhere else. See what's inspiring me visually and let's connect. I actually had some fun diving into some fashion inspiration and illustrated a dress. I so enJOYed this process using mechanical pencil, Winsor Newton watercolor markers and india ink pens. It's been a long time since I drew a garment. It was a nice diversion from my usual Hand Lettering. Although I'm having fun with that too...with my daily doodle in the evenings (that Never gets old) plus working on some sketches for a new Art Series I'm calling my Lyric Lines Design Series, with lyrics from some of the songs I've written in connection with my Spiritual Practice. It was fun to intuitively choose which lyrics to include. My process of determining how to present these lyrics is an experiment I'm working with right now...wanting more illustrated visual as the back drop and with lettering on top...we'll see how that goes. I'm all for trying something new, especially if it inspires me. I've always loved the look of white lettering with colorful backgrounds. The contrast, to me, is so eye-popping. So, Stay Tuned! How do you see the world? Embrace Your Unique Vision as Artist of Your Life. Remember, my newsletter, The ART of JOY, is a great source of encouragement and inspiration to Find Your Creative Voice, express yourself from the heart and be personally empowered as a result. And if you subscribe, you'll automatically receive The ART of Journaling Toolbox, filled with 7 Power Tools to keep your journaling practice relevant, revealing and renewing. Get access today and get your 2019 started right! How do you see the world? Give this some thought and perhaps, pick a topic that deeply resonates with you and detail how you see this topic. You can even make a list of topics that resonate with you and detail how you see them. This can reveal your values and what really matters to you. Pick an image of the earth or something that grounds you, then choose words that resonate with how you see this image and what it means to you. Use stamps or hand-letter your message. MY View is a great doodle initiator since you can also illustrate the objects in your life that you deeply love. Hello dear friends, subscribers, journal keepers, creatives, artists, small business owners! It's great to be with you again here in this New Year of 2019!! Happy New Year to you all! With this new year having begun and moving at a quick pace (always, right? ), I have managed to determine a focal word, which I have done for 6 or 7 years now, most of the time it having a positive impact on my focus for the year. I wanted to go more in depth into what the word Space means for me and why I chose it. Space can connote making space for something--such as creative time in my studio, or time to write and sing with my tambourine, or watching a movie if I want to. Space can also suggest room for Quiet: the space where I sit in stillness, meditate and relax. To me, this is imperative. I began this practice more regularly last year in connection with my spiritual practice of prayer/meditation/singing/study and songwriting. This time is stillness has been profound, so SPACE is a huge initiator for that time of Quiet. In this fast paced world, Quiet seems so foreign, doesn't it? That's why we have to choose to make space for it. And when in meditation, that space can infiltrate into our thought process, leaving room for peace and JOY. Space can also suggest to me the area around me literally; whether in my office, my studio, or in my private space in my bedroom. It can mean honoring my preferences with what I see, hear and feel around me. Color, texture, books I love, and even my small clock that sits on my desk so I can see what time it is at a glance. When I think of my bedroom, the word Comfort comes to mind. Soft blankets, fluffy pillows, comfortable bed linens, and a place for all my essentials, such as my journal, my markers and pens, my lap desk, and my PJs. What feels good to me is important; I have found myself asking myself, what brings you comfort? And I really pay attention to that. My throw that I use in my bed looks like a leopard print and it feels as soft as a cat's fur! (I don't currently have a cat so it's a nice side effect.) So I really enJOY using it. Did you know that writing in my journal actually comforts me? Especially when I want to express angst, disappointment, or struggle that I'm dealing with currently. I feel better afterwards, because I feel heard, even though it's just me speaking in my personal journal; or it may just seem that way since, for me, it's also my sharing with my Higher Self as well, which is important to me. Perhaps you would derive more comfort through a journaling practice, if you don't already have one. Just click on the image for The ART of Journaling Tool box to help you get started or to get a boost when you need it most! Those 7 Power Tools are my go-to to keep things fresh, fabulous and fun! Choosing the word SPACE can also suggest making room for Curiosity--giving myself "permission" to follow something that interests me, whether watching a video, searching for a book title I'd like to check out, or looking at art that inspires me. There are so many ways I can honor Who I Am as an Artist, and making Space for my Curiosity is important to me. Especially when it comes to stuff others around me have no interest in. What really matters is that I have interest. I love viewing other's journal page spreads and how they create their own planners, or sketch with pen and fill with watercolor. What inspires me as an Artist, Designer and Creative is important enough to me in which to Make Space. So whether, I'm looking for Quiet, Comfort or want to follow my Curiosity, Making Space, being Mindful of my Choices with how and where I spend my time and its impact on my well being, is a way to give me clarity about Who I am and my Purpose which is a peaceful and JOYFul place to be. And when I experience the positive effects of these essences of Space, I can then share them with YOU, dear friend! Have you chosen your word for the year? If so, why did you choose it and what do you hope this word focus will help you accomplish? Always remember that the word choice purpose is to create awareness so you can be mindful of what's important to you. Let this be a nourishing time to help get your New Year Started right. Using the word, Space, or your own Word Choice, as a prompt, use colors and textures that speak to that word choice, stamping out its meaning with alpha stamps or cut out letters from magazines. You're welcome to use an image of yourself to focus on what this word means to you. I love doodling a word or phrase at the end of my day to encapsulate its meaning for me. You can use your Word for 2019 and really give it some pizzazz with your favorite markers, pens, pencils, paints...whatever suits your fancy. Really have fun with this one. If you'd like to have even more fun with Coloring, Check out Dawn's Directives and Affirmations Coloring Pages with Prompts. Don't forget to sign up for The ART of JOY and get The ART of Journaling Tool Box!! Get your journaling practice off to a great start and have fun with it this year! Dawn engages in many roles: As Writer/Blogger and Artist/Creative and Founder of Refresh with Dawn Herring: Where Art and JOY Align, She enjoys sharing from her vast experience as award-winning, life-long artist and leader in the field of written journaling, offering encouragement and proven tips to other journal keepers. Dawn's focus is on written journal keeping, artistic expression and finding your Creative Voice, and positive change that leads personal empowerment, encouraging you to leave your authentic and positive mark in the world. Dawn is a Commercial artist, hand letterer/illustrator and writer/blogger and enjoys sharing insights, humor, and encouragement as she shares from her life experiences as a woman, wife, mother of two grown daughters and as a Grandparent to a special needs grandson. She enjoys keeping a journal and reading spiritual texts to help keep the light on. May JOY Align with Your Creative Heart.